This is one of those things that I included in the “when I start blogging again, I should blog about this” list, but I have no idea what I intended to say about it. During the time I was offline, we finished another draft of the space shuttle book, “Bold They Rise,” that I’ve been working on for, what, six, seven years now? In fact, getting the book finished was one of the motivators for taking a break from blogging in the first place. That said, there’s really not a whole lot to say about the latest milestone, other than the fact that writing a book can be a long, complicated process. The latest revision mainly makes some stylistic changes to the book, changing the way it reads somewhat, and I think we all agree that it makes it much better. Next it goes to peer reviewers and the editorial board to see whether they concur, and then it comes back to us at least another time or two to make more revisions to make it publication-worthy. If all goes well, we’ll be looking at a spring 2014 publication date. Still, even if the latest submission is just another milestone in a long string of them, a lot of work went into this one, and it was quite a relief to have the book off my plate for a little while. The desire for “more” is seemingly an inescapable part of the human experience. It comes in many, many forms — the desire for more “stuff,” the desire for a new relationship (or one better than what we have), the desire for deeper friendships or purpose. Why? Why does this desire seem to be a universal part of being human? Where does it come from? What do we do about it? That’s the focus of Marilyn Meberg’s new book, “Constantly Craving.” Meberg, a professional counselor, examines both how these desires manifest on the surface, and what the deeper needs are that fuel them. 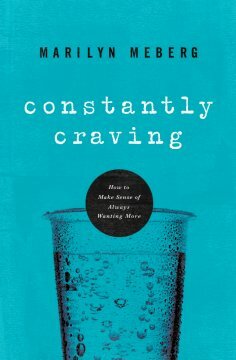 For the lay reader, “Constantly Craving” is an excellent introduction to the relationship between counseling and spirituality. With an accessible, personable tone, Meberg takes a counselor’s approach to examining and explaining a common driver in human behavior, the desire for more and better in life. Then, taking things a step further, she relates these counseling concepts to relationship with God — providing the answers to the questions of why humans are this way, where those needs come from, and what we do about them. Humans are constantly craving more, Meberg explains, because we are looking to meet an innate desire for the ultimate “more” — the perfect fulfillment of relationship with the Almighty Father. Veteran students of the link between human behavior and spirituality may not find much new in Meberg’s book, but for those seeking an understanding of why we are wired the way we are, “Constantly Craving” provides an excellent first step toward that knowledge. So about two weeks ago, I went and gave a talk in Decatur. And it was fun. The Friends of the Library group for the Decatur Public Library invited me to come talk about my book, Homesteading Space. Which, in large part, I did. 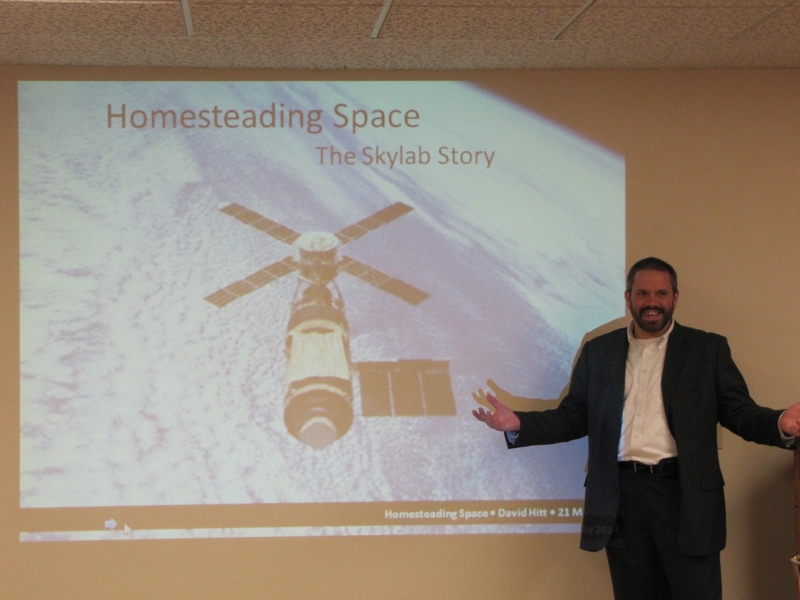 However, I gave the short version of the Homesteading lecture that I put together when I spoke at the International Space Developers Conference earlier this year, and which turned out not to be all that short. It was short enough, however, that I was able to use the audience as guinea pigs to update my talk a bit, jumping forward 40 years from Skylab to talk about the current and future state of human space exploration. As a member of the policy committee of the National Space Society, and just as someone who is passionate about spaceflight, I’ve been giving a lot of thought to the topic of “now what,” and I now have a bit more freedom to discuss that openly than I have before. What surprised me was how much fun it was. 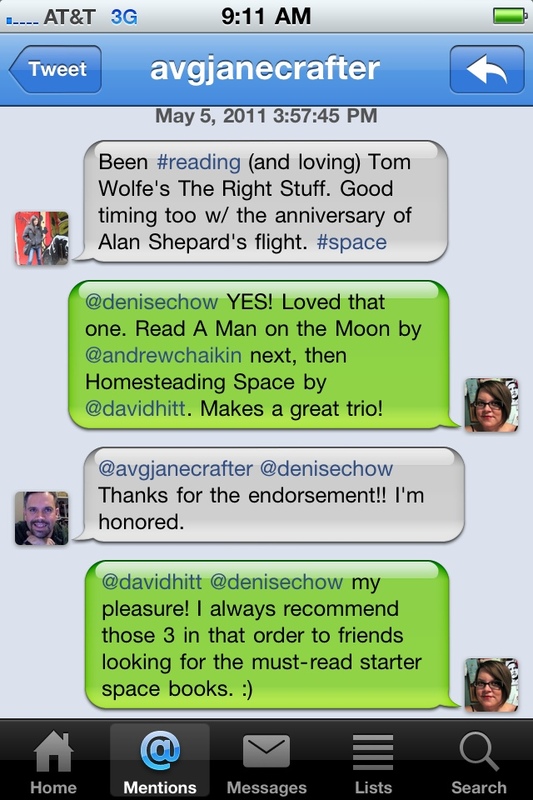 In retrospect, I just don’t have as many opportunities to have in-depth discussions about space as I used to, and I think I’m in a bit of withdrawal. I hadn’t been having a terribly good day, to be honest, before the talk, but I was in a great mood by the time I finished it. I’d gotten my fix. Point of all of this being, I’ll be doing it again on Saturday at the U.S. Space & Rocket Center’s Davidson Center at 1 p.m. The event is free and open to the public, and I’ll have a few copies of the book to sign. And this time, I’ve actually practiced the new part of the talk, so it should be even better. • I will be giving a couple of “Homesteading”-inspired talks in the next few weeks; one at the public library in Decatur on July 28 at 6:30 p.m., and the other at the U.S. Space & Rocket Center on August 13, time TBD. I would love to see some familiar faces in the audience. I’m planning on revamping my standard talk a bit, after giving an updated version at ISDC in May, to tie history in to the current state of American human spaceflight. • On Monday, I reviewed the new index which will be included in the forthcoming paperback version of “Homesteading,” which will be published this fall. 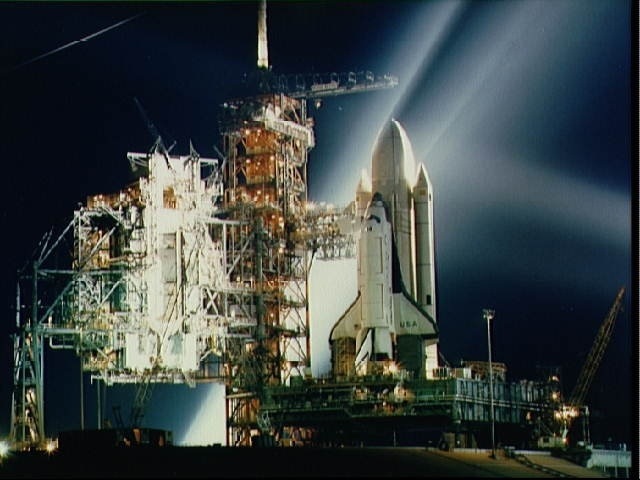 • We’ve gotten notes back on the manuscript of our early-space-shuttle history book, “Bold They Rise,” and are working with the publisher on how best to address those. God willing, we’ll be able to begin work on those edits before too long and get that book turned around as well. As an author, it’s pretty hard to see that as remotely merited, but it’s also hard not to be very flattered by it. And speaking of Homesteading Space, I’ll be giving a brief talk inspired by the book at the ISDC conference in Huntsville tomorrow. 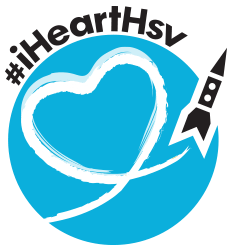 Because I’m woefully behind on blogging (and, yes, we will get back to that eventually), this post is coming about two weeks after I should have written it. Apologies. Earlier this month, Bo Bobko was inducted into the Astronaut Hall of Fame. If you don’t know who Bobko is, follow the link to the collectSPACE article. Long story short, he’s one of the early shuttle commanders who flew on the maiden flight of two orbiters. He’s sufficiently accomplished that a few years ago, talking to him, I made the faux pas of assuming he was already inducted. I’m glad that oversight has finally been rectified. On a personal note, I’m glad to see Bo recognized, since he helped me with both of the space history books I’ve co-authored. Back when he was still a fairly new astronaut, long before the shuttle commander stuff, he supported the Skylab program in several ways, including, most notably, as a participant in the SMEAT “simulation,” where he and two other rookie astronauts spent almost two months locked up in a altitude chamber testing Skylab equipment. It was a singularly unrewarding task — a full-duration space mission without leaving the ground — but vital to the success of Skylab. 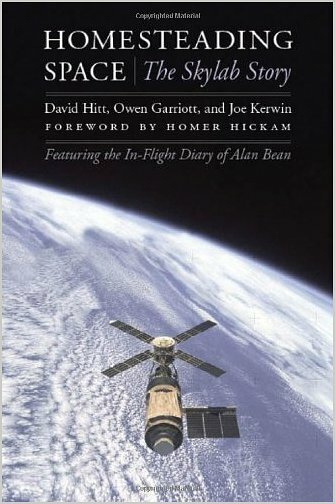 I got to sit down while working on the Skylab book, Homesteading Space, with Bo and SMEAT-mate Bob Crippen and have a great conversation that turned what on the surface might have been on of the drier chapters in the book into an entertaining and often hilarious story. Bo helped me again with the space shuttle book Heather and I recently submitted to the publisher — at one point, he was going to serve as co-author of the volume. That fell through, but he was a huge help in shaping the book early on. In particular, as a pilot astronaut, Bobko gave me a perspective that was very key to understanding the development and early flight program of the shuttle. I’d always thought of the space shuttle orbiter primarily as a spaceship. To Bo — and, it turns out, others of his background — it was “the airplane.” Despite it’s very unusual flight profile, particularly during development it was just the latest and greatest airplane he was going to be flying. He talked to me less about the microgravity operations than about the avionics (pronounced with a short a). The discussions with him provided me with a foundation that proved hugely helpful later on in understanding the experiences of the astronauts involved in the early shuttle program. So, Bo, congratulations on a well-deserved honor, and thanks again for all your help!